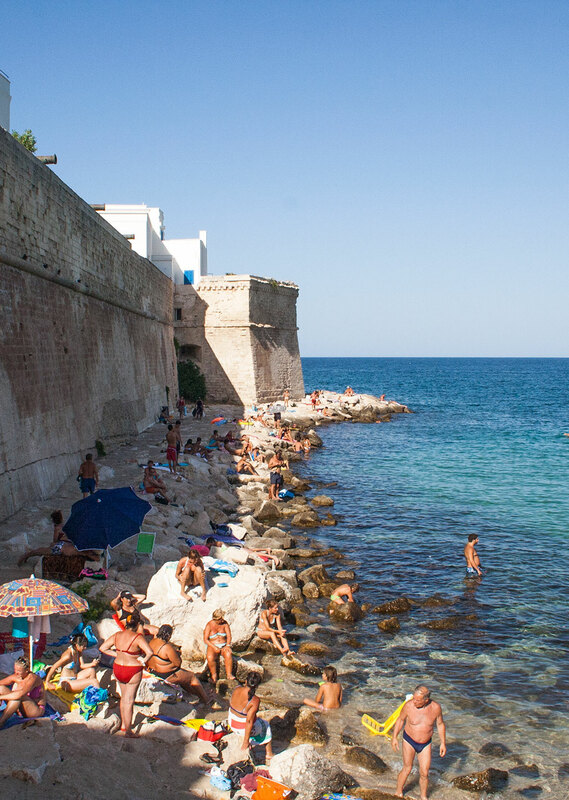 To say Monopoli typifies bathing in the sea. 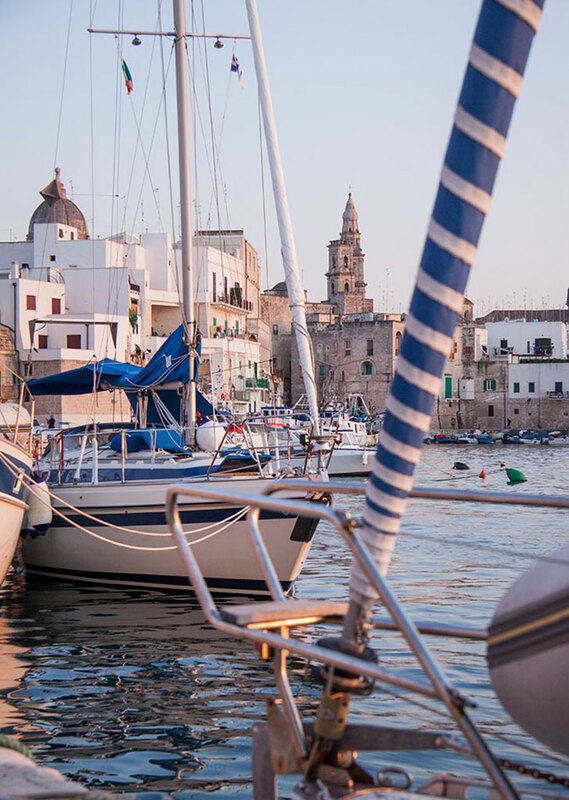 For most it is undoubtedly the most beautiful stretch of coastline in the land of Bari and one of those discoveries that leaves its mark forever. 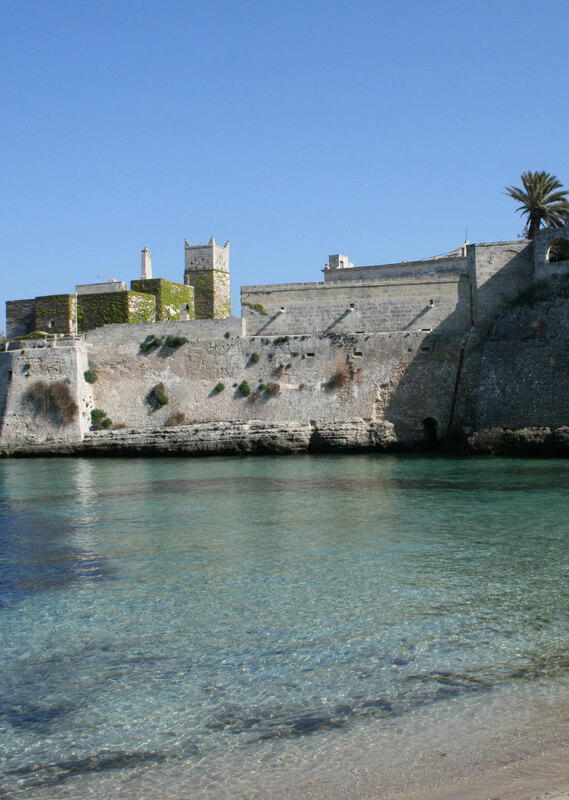 In fact, among the many opportunities for experiential tourism Monopoli gives you is that of bathing. The entire coastal strip of almost 15 km it presents is varied but with one common denominator: irresistible, clean water and distinctive cliffs. Not surprisingly, several times, over the years, it has received prestigious recognition as a “blue flag” town from the Lega Ambiente. The northern zone along with the more central part of the city is characterized by low jagged cliffs, alternating with small and medium-sized creeks or coves. 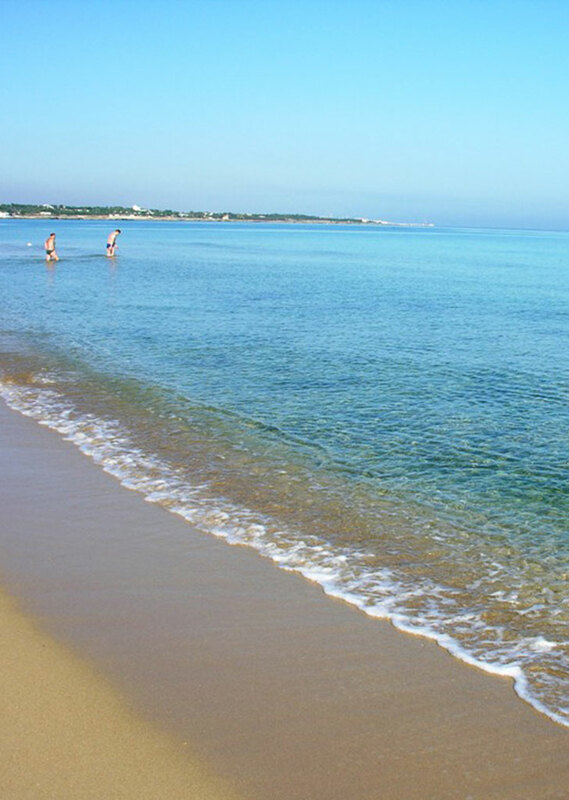 Instead to the South and some stretches of the famous district of “Capitolo” you can enjoy long beaches with fine golden sand or in certain stretches of beach take pleasure from the charming coastal sand dunes. In short, a warm welcoming landscape, to discover on foot, by boat, a natural harmonious panorama with its cliffs, canyons and escarpments. This together with the many coves and bays are perfect places to anchor boats or to enjoy a swim. Of the emotions that the characteristic sea will offer you is a vision of marine crags and caves fashioned by the erosive action of the sea. 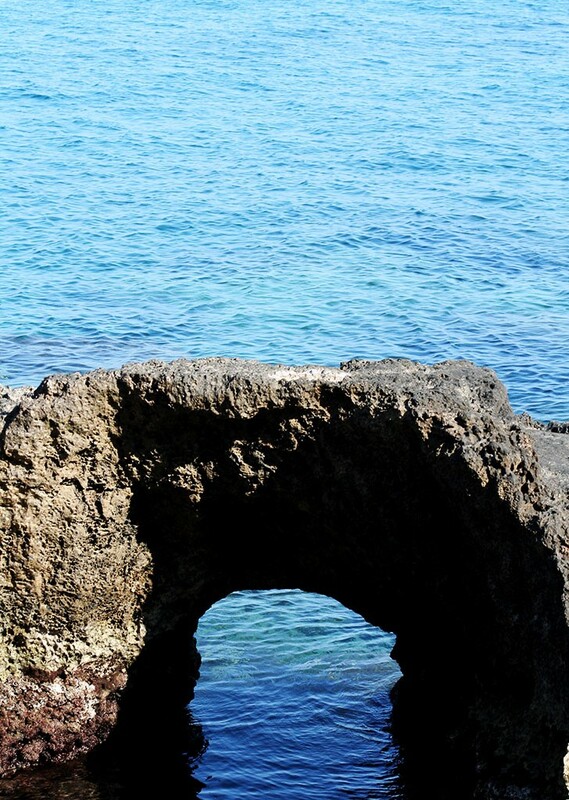 And for most, you will fear those plunges into some waters where you feel the presence of “sciale”, cold currents close to the shoreline. Many sports can be played either in the water or along the shorelines and many beaches are equipped with refreshment points, cabins, umbrellas, loungers, pedalo rental, areas devoted to sport and to discotheques.